Translating a business report, document, book, paper or article into Spanish seems fairly straight forward, until you take into account the fact that certain Spanish words do not have the same meaning around the world. A word that means one thing in Spain can have a totally different meaning in Argentina or Mexico or Cuba. 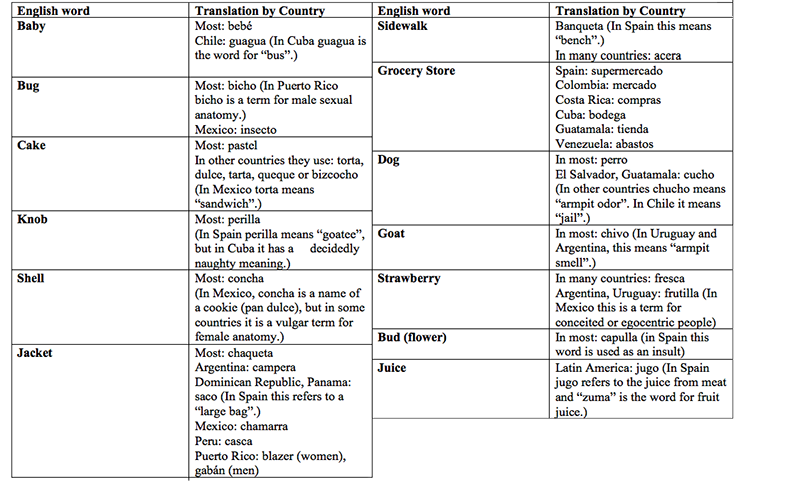 Spanish is second-most spoken language, behind only Mandarin Chinese. By some estimates there are around 572 million Spanish speakers around the world, and of those, about 477 million are native speakers. It is the official language of Spain as well as over 20 countries throughout Central and South American and the Caribbean, and there are more Spanish speakers in the United States than there are in Spain (around 41 million). You can also find Spanish speakers in some surprising places, including the Philippines and several countries in Africa. Then you skip across the Atlantic to the Americas. The dialect of mainland Mexico, Colombia, Peru, and the majority of Central and South America, is sometimes called Latin American Spanish. Even within those countries, there may be different words for certain things. You will also see differences between Central/South American countries and the Spanish-speaking islands in the Caribbean such as Puerto Rico, Cuba and the Dominican Republic. Spanish speakers in the United States may have their own dialects and words that are a mix of Spanish and English, sometimes referred to as Spanglish. As you can imagine, translating a business document, legal document, marketing campaign, article or anything else into Spanish is not always so straightforward. Any translation must take into account the intended audience to ensure you don’t end up using the wrong word, or worse, using a term that is an insult or has a vulgar meaning in some places. ALTA is the leader in professional Spanish translation services for a wide array of industries and projects both in the public and private sector, including business, advertising, sales, marketing, human resources, medical and legal translation. We take into account the linguistic-cultural nuances and regional variations to ensure proper translation for your target audience. 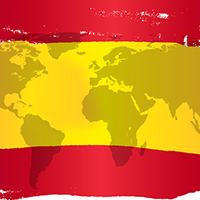 For more information about regional or worldwide Spanish translation services, contact us today. Kristin Wallace is a USA Today Bestselling fiction author and advertising copywriter who is addicted to learning and writing about language, culture and art around the world. She lives and works in sunny Miami, Florida.